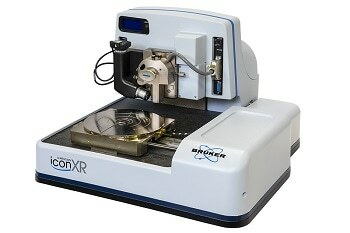 Bruker announced today at the 2012 Materials Research Society (MRS) Fall Meeting the release of the unique NanoLens™ Atomic Force Microscope (AFM) accessory for ContourGT® 3D optical microscopes. Designed for fast installation on a new five-position, fully automated turret, the compact NanoLens delivers unprecedented high-resolution imaging capabilities without sacrificing measurement speed in optical modes. 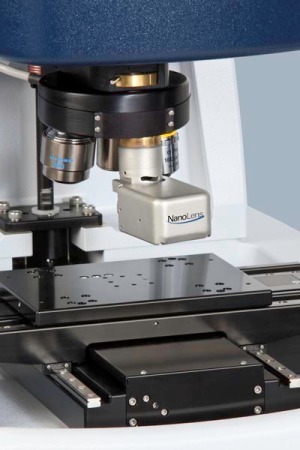 With NanoLens, users can perform nanometer-scale surface and material property analysis on the same system that provides the industry’s most repeatable and versatile 3D optical microscopy measurements. The ContourGT line of 3D optical microscopes features patented, higher brightness dual-LED illumination that, when combined with their superior vertical resolution, greatly improves sensitivity and stability. Intuitive Vision64 software provides the industry’s easiest to use interface and most powerful measurement and analysis functionality. From nanometer-scale roughness through millimeter-scale steps, with sub-nanometer z-axis resolution, the unmatched analysis capabilities, new color camera option, and NanoLens optional accessory establish the ContourGT systems as the new benchmark for flexibility and capability in surface measurement and imaging.